Earth Trades responded by arguing that T&G should be barred from enforcing the construction contract because it knew or should have learned during the performance of the work that Earth Trades did not hold the required state license. As a result, the subcontractor claimed that T&G was equally at fault and could not recover against Earth Trades because both parties stand in pari delicto. The trial court in Orange County, Fla., rejected Earth Trades’ arguments and granted the motion for summary judgment by T&G, and the Fifth District Court of Appeal affirmed the decision. Because this decision expressly and directly conflicted with the opinion by the Third District Court of Appeal in the case of Austin Building Co. v. Rago, Ltd. in 2011, the Supreme Court of Florida had jurisdiction to review the case. 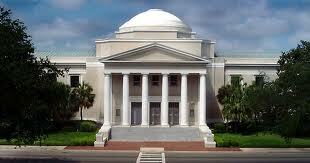 The Supreme Court upheld the Fifth DCA’s opinion, noting that Section 489.128, Florida Statutes plainly places the onus for unlicensed contracting on the unlicensed contractor. The court concluded that the state legislature amended the statute in 2003 and stated that its intent was to “clarify that the prohibition on enforcement of construction contracts extends only to enforcement by the unlicensed contractor.” The defense of in pari delicto requires that the parties be wrongdoers of relatively equal fault. Under Section 489.128, Florida Statutes, the fault of the person or entity engaging in unlicensed contracting is not substantially equal to that of the party who merely hires a contractor with knowledge of the contractor’s unlicensed status. Accordingly, even if it was proven that T&G knew Earth Trades was unlicensed, such knowledge, as a matter of law, would be insufficient to place the parties in pari delicto. The Supreme Court disapproved of the Third DCA’s decision in the Austin Building case to the extent that it held that under section 489.128, a party’s knowledge that a contractor is unlicensed places the parties in pari delicto. This decision is yet another reminder of the perils of working without the required state licenses for contractors and subcontractors in Florida. Our construction law attorneys and I will continue to monitor and write about important court rulings for the construction industry in Florida, and we encourage industry followers to submit their email address in the subscription box at the top right of the blog in order to receive all of our future articles.